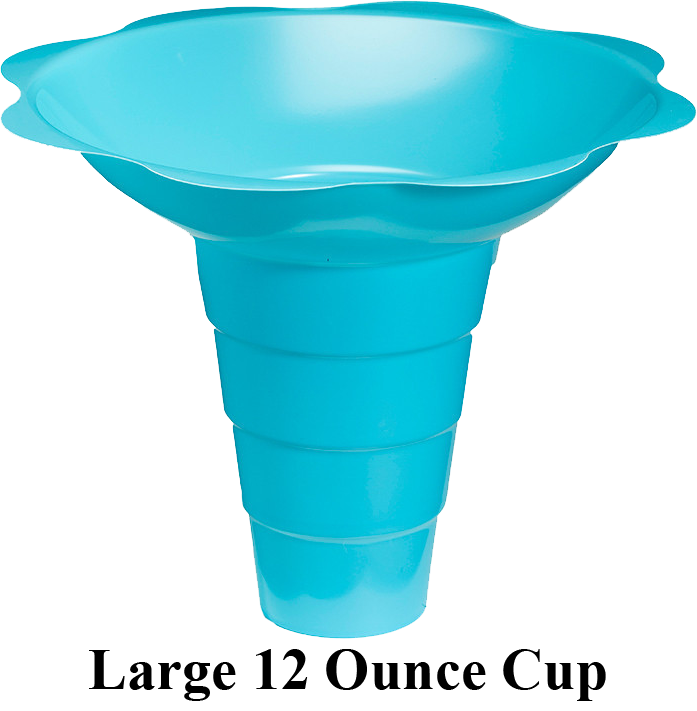 Flower Cups are popular and they are ideal for serving snow cones and other shaved ice desserts such as Italian Ice and Ice Cream. 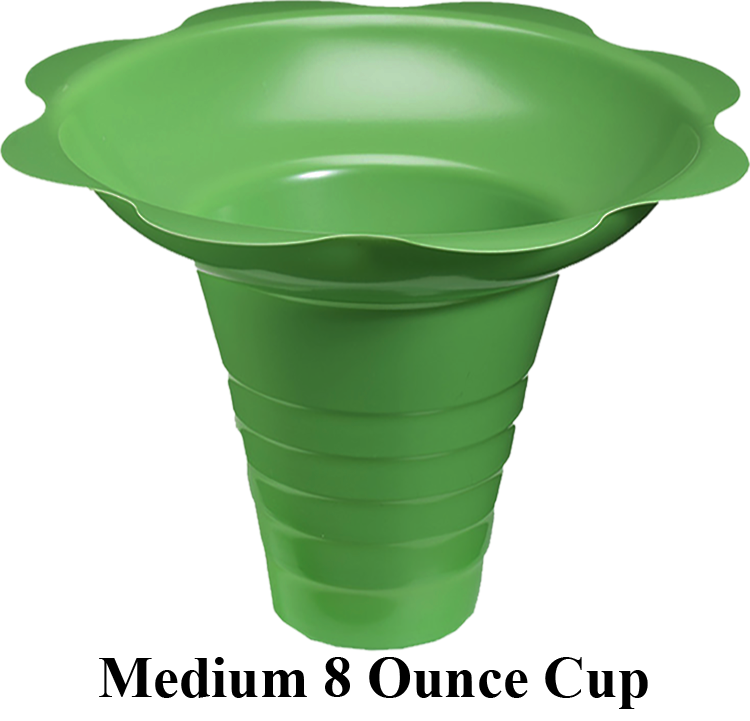 They are available in either plastic or organic material that is one hundred percent natural and composted. They are eco-friendly and biodegradable. They are made with PLA (polylactic acid) plastic which is made from farm grown corn, a renewable resource rather than petroleum. They are available in various types and sizes. The 3 sizes are: small (4 oz), medium (8 oz) and large (12 oz). 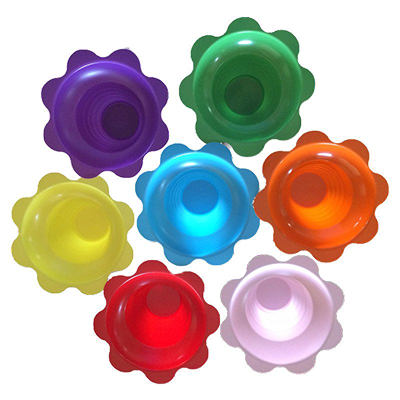 The seven colors are: red, orange, yellow, blue, green, purple and pink. These beautifully designed shaved ice containers are very attractive and they really can enhance your business, add life to your parties and make events memorable. The flat bottom makes it easy to spoon all of the content from the bottom. The wide rim makes drips and spills less likely. 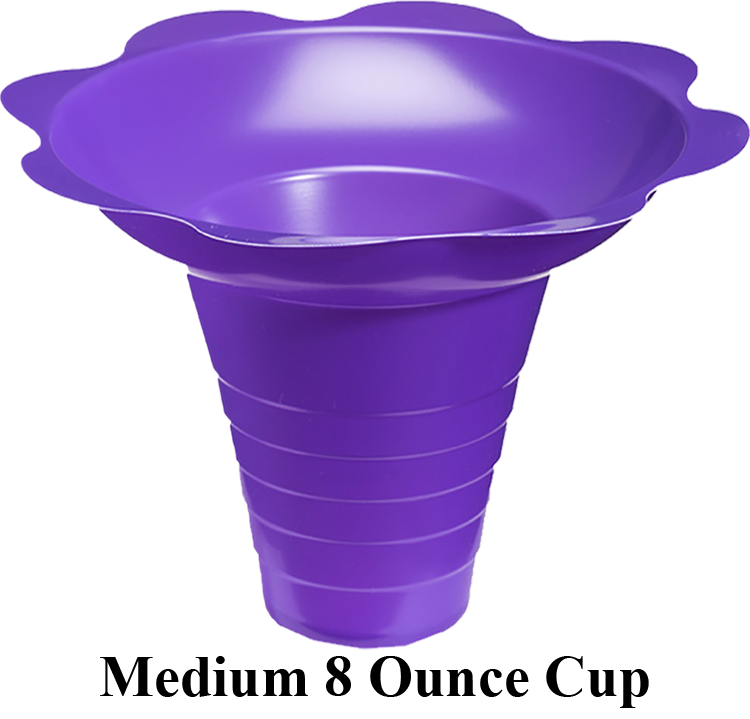 Not only is it beautiful, it is practical and it has many advantages over cone-shaped paper cups. According to customers who operate shaved ice businesses, their sales volume and profit margins have increased dramatically since they started using pretty and functional shaved ice containers. They are ideal for parties. Kids love them because they look like a brightly colored flower. Adults love them because of their practical functionality. 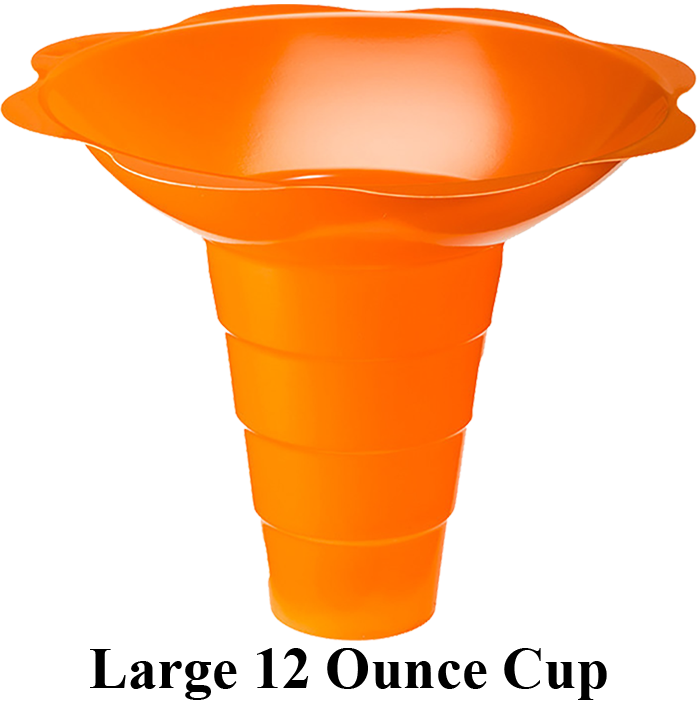 Snow Cones and Shaved Ice desserts served in flower-shaped cups command a higher price than paper cone-shaped containers. Some vendors increase their price by a dollar or more for shaved ice served in these containers. Some businesses serve their products exclusively in these containers. Others offer them as an option. If you choose plastic for personal use they can be cleaned and reused. Plastic shaved ice containers are much sturdier than cone shaped paper containers. They will not degrade or cave in before you can eat all of the delicious shaved ice dessert. 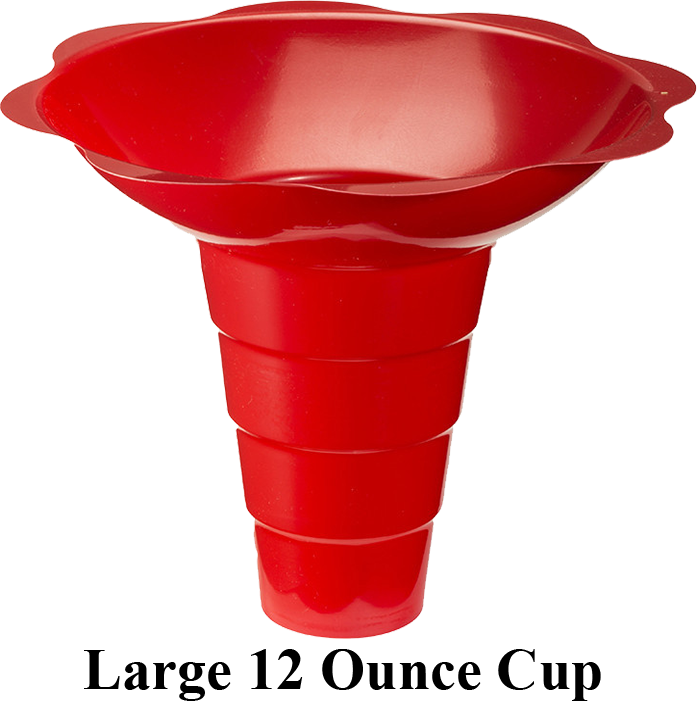 These containers are designed with a sturdy tapered shape which make them easy to grip. They cost a little more but they are worth it. 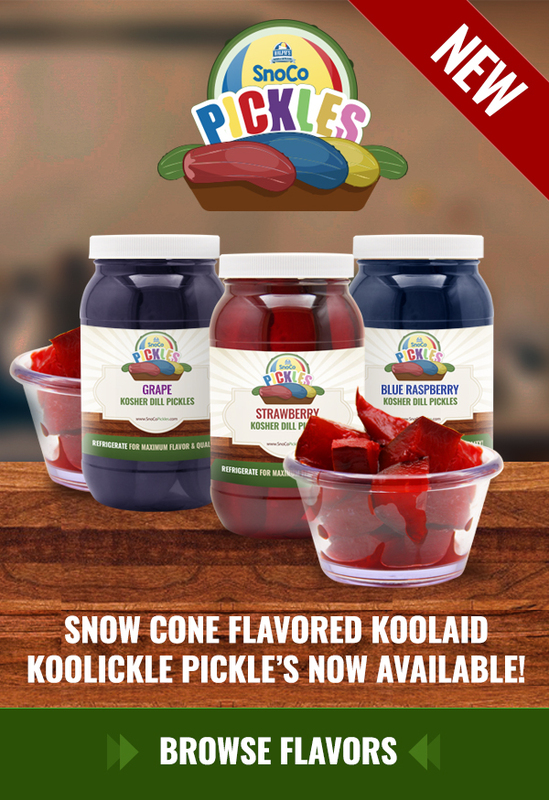 We try to provide a wide array of snow cone and shaved ice products in order to give our customers more choices. Snow Cones are not served exclusively in cone-shaped paper anymore. 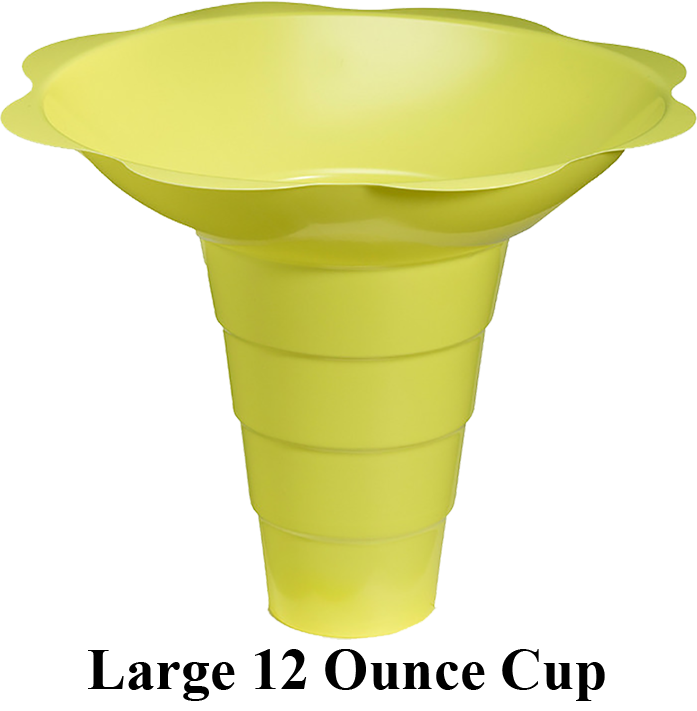 They can be served in a variety of different cup types and shapes including cone-shaped paper containers, cone-shaped plastic containers, foam, plastic, biodegradable and other types of containers. We want to be your one stop shop for snow cone syrup and supplies. 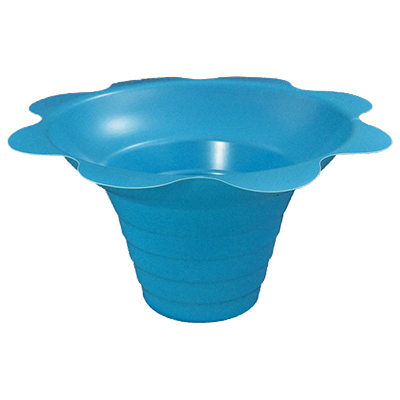 Browse our full line of Snow Cone and shaved ice containers and other snow cone products. Read more about this product on our blog. Not only do these flower shaved ice cups work well for snow cones but other shaved ice desserts can be served in them as well. We call the popularity of this container Flower Power because it is useful, practical and beautiful. If your question was: "Where can I buy the best shaved ice containers?" 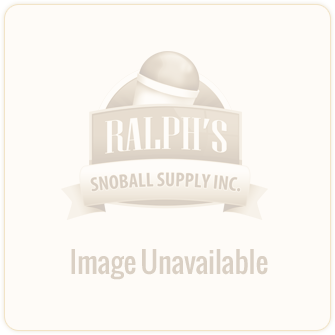 Well, look no more, Ralph's SnoBall Supply is the answer. 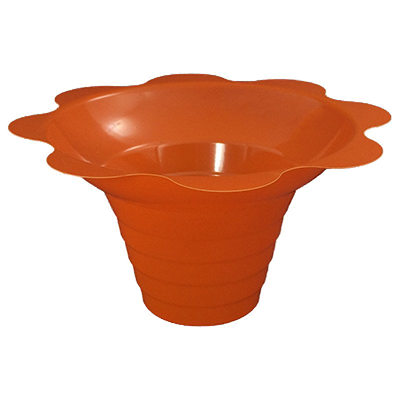 In addition to snow cne flower cups, we offer several types of containers as well as many other Supplies.